Isbell reaches back to Chet Atkins, Neil Young, and more. Grammy winner Jason Isbell may be one of the most accomplished guitarists of his generation, but like all great musicians, he had to start somewhere. For Isbell, that somewhere included some of rock’s most iconic riffs. In June, we watched him cover a couple of Allman Brothers hits in honor of Gregg Allman. Now, he has shared his five favorite riffs of all time in an interview with Guitar Player, and they’re all classics. 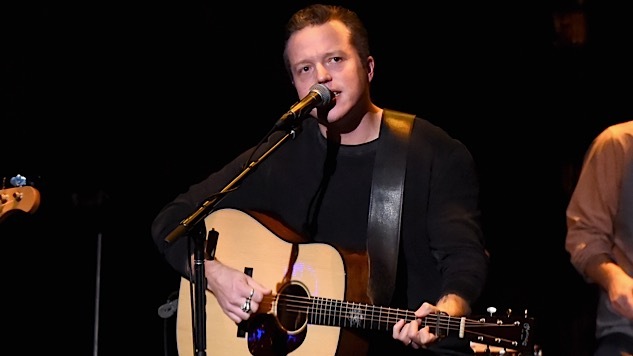 As a young kid growing up in Green Hill, Ala., Isbell found an early influence in Chet Atkins. “My uncle was into the Chet Atkins/Merle Travis style of picking,” he told Guitar Player. ”[‘The Bells of St. Mary’s’] was a big deal for me when I was seven years old.” Songs like “Salt Creek” by Bill Monroe and the Bluegrass Boys were Isbell’s entry point to bluegrass. “From a very early age, my grandfather would have me play rhythm guitar for him while he played mandolin, banjo, or fiddle,” he said. Also among Isbell’s top influences are Jackson Browne and David Linley’s “Running on Empty,” Lynyrd Skynyrd’s “I Know A Little” and Neil Young’s “Cortez the Killer.” Check out the video including Isbell’s take on his favorite riffs right here, but first, check out this rare recording of Neil Young & Crazy Horse playing “Cortez the Killer” in 1986. Isbell’s 2017 album with The 400 Unit, The Nashville Sound, was one of Paste’s 100 Best of the year. Read the review here.